To get to school each morning, Uran follows a path similar to many Illinois commuters who head to Missouri each day. He crosses the mighty Mississippi River, passes the iconic Gateway Arch and Busch Stadium, and travels beyond Forest Park to go as far west as the historic Delmar Loop. However, Uran has a big advantage — he doesn’t have to deal with the frustrations of traffic and congested roadways because Uran rides Metro. 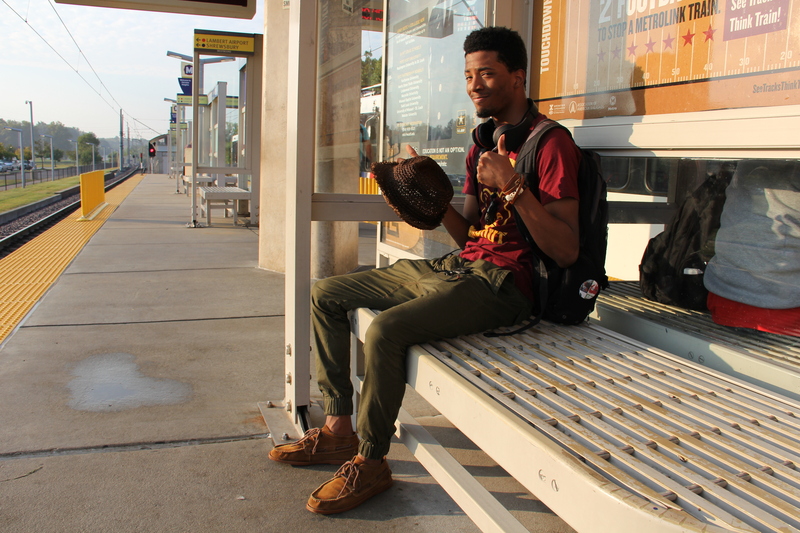 Each day during the week, Uran boards MetroLink at the Fairview Heights MetroLink Station and rides a Red Line train to the University of Missouri – St. Louis (UMSL) campus in North St. Louis County. Uran has been riding MetroLink for two years and uses his roughly 45-minute commute to listen to music or catch up on any last-minute homework. Uran is a junior at UMSL and hopes to earn his degree in graphic design. While MetroLink provides a direct link to the classroom, being a student at UMSL also provides cost-saving benefits. UMSL is part of the Metro U-Pass program, which provides students and faculty with unlimited rides on MetroBus and MetroLink free of charge. “It saves me money,” Uran said. In addition to using MetroLink to get to and from school, Uran has also used the train to visit the St. Louis Art Museum in Forest Park or attend events in downtown St. Louis. MetroLink also provides Uran with a unique perspective during his morning and evening commutes. “A ride on MetroLink allows you to see the St. Louis area that you usually wouldn’t see while driving,” he said.